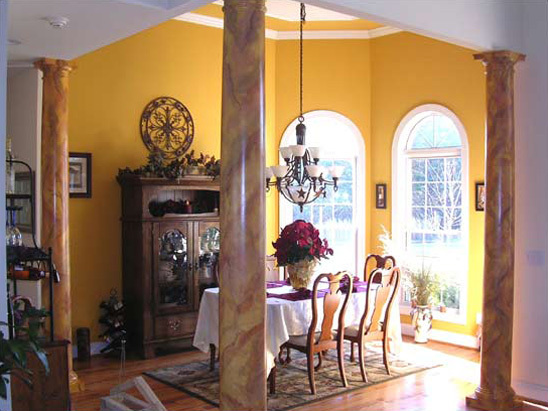 Would you like to have that pillar turned into "marble" or have the family room wall look like leather? How about the look of an old 18th Century wall or "like" pots above a window or a simple tree branch across a wall. 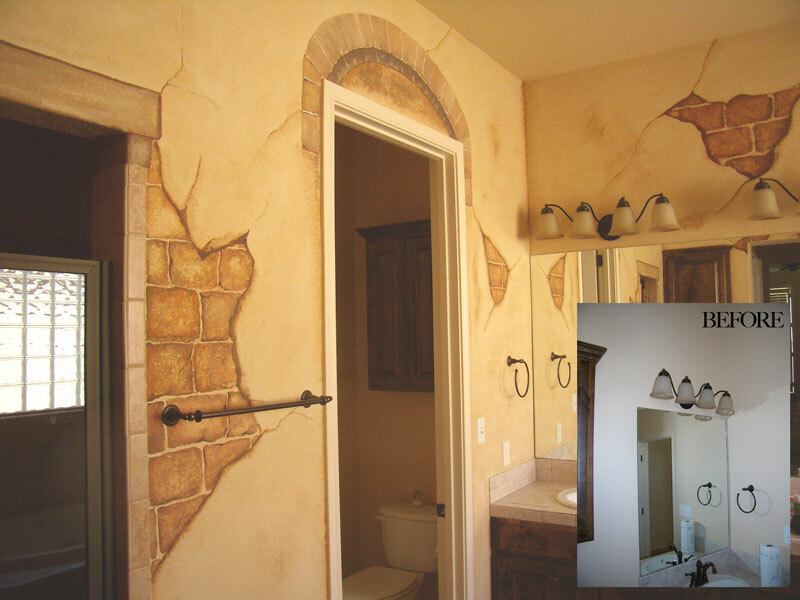 Wall treatments can be very exciting and dynamic in a home. 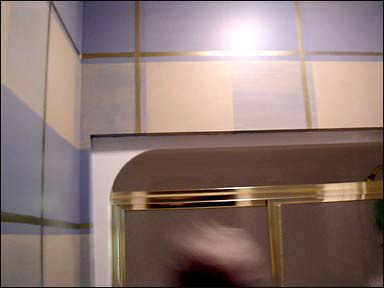 Faux finishing and Trompe L'oeil plus others. Below are just a few examples of the work we do. 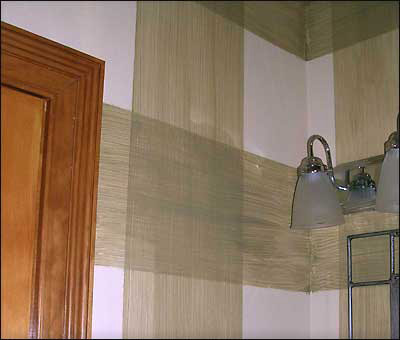 Turn plain white walls or wood columns into "marble". The wood columns in this dining area were "marbled" with various colors of paint to compliment the gold walls and the wood table & chairs. Three colors of paint were applied with intermittent "stippling" with brushes to create this rich, dimensional leather look. 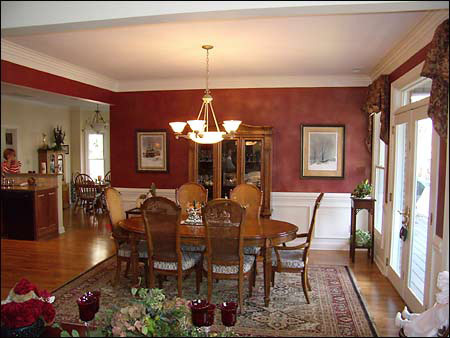 The "leather" walls help separate the dining area in this large, open living area. Various shades of blue create this plaid pattern with a metallic bronze stripe to give this bathroom a distinctive look. Paint glaze and a stiff bristle brush create the look of "grass" paper.